Wreck Fishing! 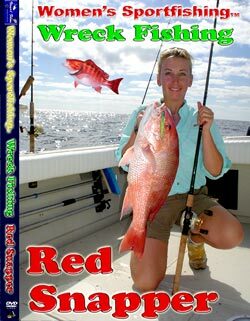 Kim Bain fishes the offshore wrecks of the Galveston Texas area for the highly sought after Red Snapper. This aggressive game fish inhabits offshore wrecks and oil platforms, fights well and is well known for it's table fare. Learn the best types of lures, strategies for locating fish, effects of lure color, seasonal movements, and much more. Aside from the numerous Snapper caught, a few other species come calling, not to mention a dolphin Having a snack. Want to know more about catching Snapper? Pull up a chair and let the catching begin!